The name says it all....Sea Siesta....reminds you to enjoy your vacation, relax, take a nap. This lovely and spacious home is the perfect place to take advantage!!! This is certainly a home away from home. 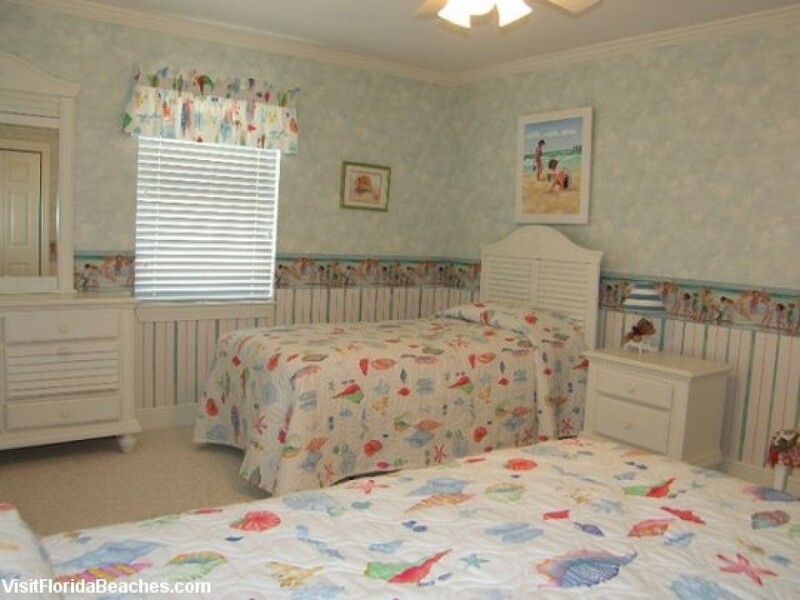 The Sea Siesta is located less than 150 feet to the sugar white sands of the Gulf of Mexico, with no roads, intersections or parking lot's to cross, you are almost BEACHFRONT! There is also a wide deck that stretches the length of the house to enjoy your afternoons. This 4 bedroom 3 bath beauty sleeps 8 with a king bedroom, a queen bedroom and two rooms with two twins in each for a total sleeping capacity of 8. The owner and Pristine requests that this number is strictly enforced. No extra's please. Floor Plan: Ground level-covered parking, foyer, laundry room and Bedroom 1-queen bed and full bath. 1st level-kitchen, dining area, living room with fireplace, sleeper sofa, TV, VCR, DVD and stereo; Bedroom 2-king bed, TV, DVD, VCR and full bath; Bedroom 3-2 twins and TV; and Bedroom 4-2 twins and TV.